While Halloween may be an incredibly fun holiday, it is also a perfect opportunity for you to market your website while also having some fun. Being the 4th biggest shopping holiday for eCommerce, every website owner needs to take hold of the Halloween flash sales and traffic regardless of whatever you are selling. This is because the season is not just a good time to sell Halloween products, but also a perfect time to prepare for Black Friday and Cyber Monday. So it is only important for digital marketing services to take advantage of this period of increased traffic to get new clients, collect new email leads, and close sales. So today, we are going to share with you the top 10 Halloween digital marketing tips to boost your website traffic. Although this idea may sound gimmicky, decorating your website with a Halloween theme can have a great effect on your website traffic. Since most people wouldn’t prefer changing their website’s theme after having spent a lot of time choosing the best-looking theme, you can still customize your website using banners promoting Halloween activities. Whether it is black cats and pumpkins or cobwebs and spiders, using Halloween decorations will give your website that fun festival feels that will attract new clients. Another effective Halloween digital marketing tip is using social media to hold a Halloween costume contest. In this case, you will publish a post on Facebook or Twitter and outline the terms and conditions and the prize for your contest. Your followers will enter by posting their picture dressed up in their costume. 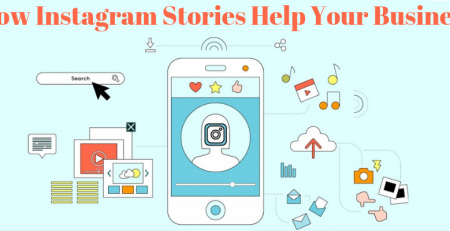 Apart from creating engagement, this post will also expose your brand to your followers’ friends. Better still, you can run a paid ad to make the contest be seen by an even larger audience. While most people tend to underestimate the importance of online reviews, the truth is that positive reviews can really transform the way you do your business. Therefore, use this opportunity to encourage your happy customers to write about their experiences with your product or service. A good way to achieve this is by offering them incentives like a bag of Halloween candy in exchange for their review. For just a few dollars like $10, you will get to receive a valuable online review that will help improve the credibility of your brand and in turn foster trust in new potential customers. Email newsletters are without a doubt one of the most effective ways to reach your target market. When you switch things a little up by giving it a Halloween theme, you will even get to recapture your subscribers’ interest more than never before. You can come up with ideas like “Prices so low it’s SCARY!” and engage your website visitors with an offer for a big-ticket item which they can enter to win by just entering their email address. Halloween shoppers are just as choosy and price hunters as your everyday shoppers. This means that if your aim is to sell a product during the season, you will have to trigger them to make the decision to purchase from you. Do this by offering them a higher discount that will sway them to purchase. You won’t believe how fast this news will spread and within no time many people will be visiting your website. Another good tactic is to offer your long-time customers and readers with discounts which will encourage new customers to also take advantage of other upcoming holiday offers. Want to Build an Indestructible Online Reputation? 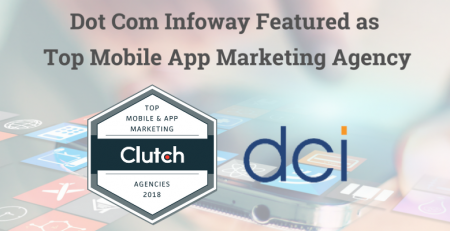 Dot Com Infoway is an award-winning digital marketing agency providing 360° services with an unbeaten track record. Instead of coming up with scary blog posts, just try to find ways to tie Halloween into your company’s products or services. Through this, you will be able to come up with Halloween blog post that will also remain useful throughout the year. Some of the Halloween topics that you can consider include Halloween recipes, Halloween decorations, Local pumpkin patches, Halloween party ideas, Halloween movies, Local Halloween events, Halloween costume ideas, Pumpkin carving ideas, Halloween pranks, and Halloween history. Halloween is one of the few time of the year when your brand is allowed to be as scary as you want and videos are the best way to depict this. Videos will greatly improve the chances of your brand developing content that generates lots of views which in turn would increase your website traffic. Whether it is a quick Vine’s that show spooky surprises in the office or a staff-video wishing everyone a Happy Halloween, just be sure that it has a relaxed atmosphere and you don’t take yourself too seriously. Since social media marketing is an all year round digital marketing tactic, you shouldn’t leave it out of your Halloween digital marketing strategy. While staying relevant to your brand, try to mix in some fun and Halloween-themed social media posts. Try to make it as fun and interactive as possible to encourage your followers to share it with their friends. Infographics are a great way to capture several pieces of information and convey them in a condensed and more interesting format. The possibilities with infographics are endless the reason why they are also perfect for Halloween season. The best part is that you don’t need to have the skills of a graphic designer in order to come up with a good Halloween infographic. All you need to do is find a way to incorporate a Halloween theme with what you do and use one of the many available tools to create visually engaging pieces. Some of the tools that you can use include Piktochart, Easel.ly, Cland Venngage. If your company has any plans of hosting a party on the Halloween day, you can promote it through social media or any other distribution channel. This is because People always love following and seeing a behind-the-scenes look of their favorite brands. Just ensure that you take multiple pictures and videos of your celebration. Halloween is a great time to have some fun increasing your website traffic. 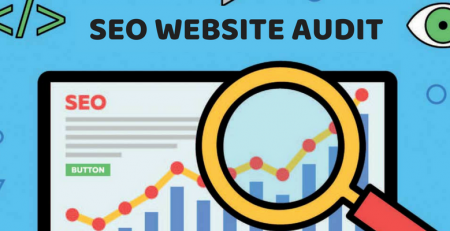 While other people are lazing around and busy with the holiday, you can take hold of this valuable high traffic opportunity and do some serious work in boosting your website traffic. By following these 10 useful tips for the Halloween period, you will massively increase your website traffic and organic rank on search engines in a fun way.